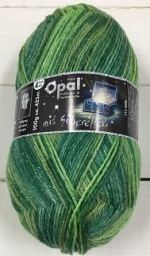 Opal Lucky is a 4ply sock yarn which can be used with any 4ply pattern. 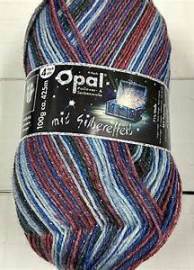 There is a subtle silver strand running through the yarn which gives it a seasonal glitter! 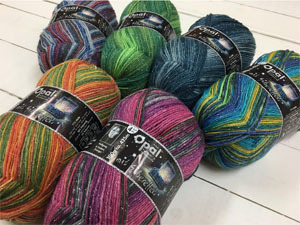 If you would like a free sock, glove or scarf pattern, please mention this in the Comments box during checkout. 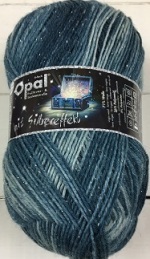 Use it to knit Christmas decorations!